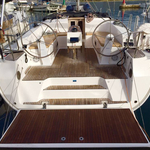 Yacht Bavaria Cruiser 46 named White Star has been built in 2015. 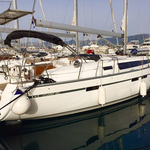 We offer this yacht from marina Sibenik just a few kilometers from Sibenik. White Star is registered for 9 pax. Layout of the sailing boat is 9 (8+1). Bavaria Cruiser 46 White Star has 4 bedrooms. For comfort of passengers there are 3 WCs. With engine 55 White Star can move really fast. White Star is 14.27 meters long and 4.35 m wide. Depth is 2.1 meters. Look for more offers over here: Yacht charter Sibenik. 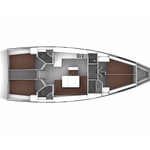 Yacht's equipment consists of : Bed linen, TV, DVD player, Radio / cd player, Heating, Air conditioning, Internet Wi-Fi, Plotter gps in cockpit, Autopilot, Bow thruster, Dinghy, Anchor electric windlass, Bimini top, Teak deck, Wc pump electrical, Inverter 12v-220v, Solar panels, Furling mainsail. . Nonrefundable deposit is 1800.00 EUR. Choose our offer and have good time on the deck of White Star. 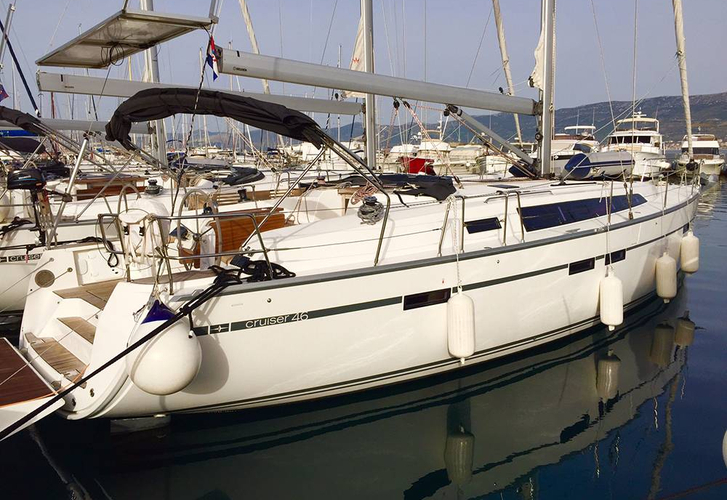 This Bavaria Cruiser 46 from Sibenik from Croatia See over here: Yacht charter Croatia.